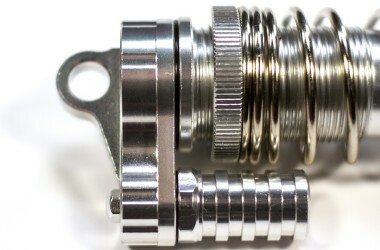 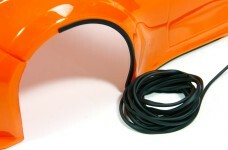 The GPM piggyback reservoir shocks increase the oil volume and the separate vent screw makes filling the shocks easier. 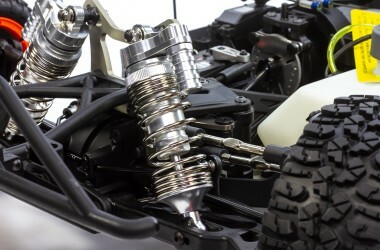 Shocks come in pairs including all-metal lower ball joints, spring perches and springs with 2.75 mm wire diameter. 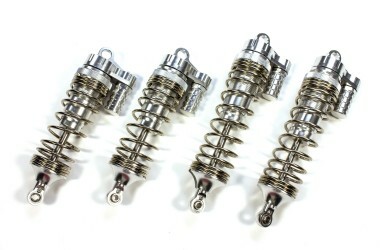 These technically demanding, excellently manufactured GPM Piggyback shocks come ready for use, assembled and filled with 1000 viscosity silicone oil. For a possible fine tuning (less damping with lower viscosity, more with higher viscosity) we recommend our silicone oils y0038 (50 ml) or y0039 (100 ml). 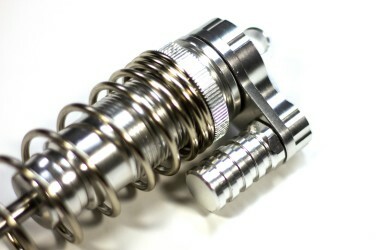 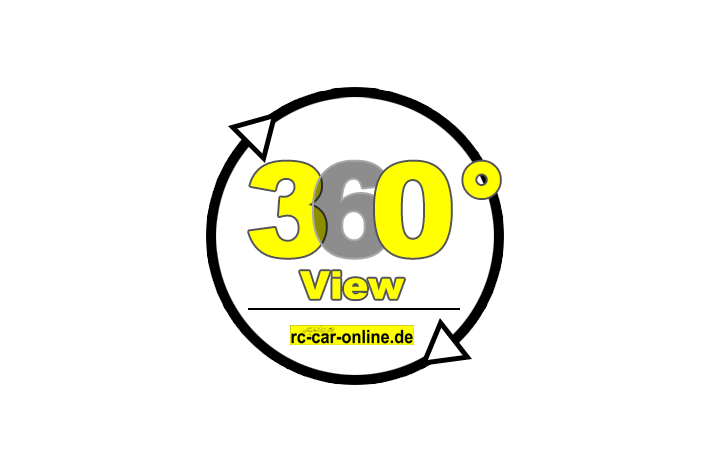 Approximately 23 cm³ of oil is required to fill one shock absorber. 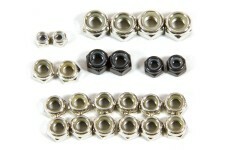 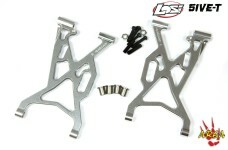 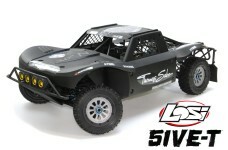 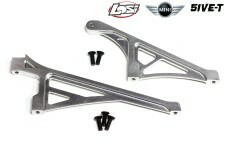 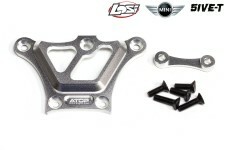 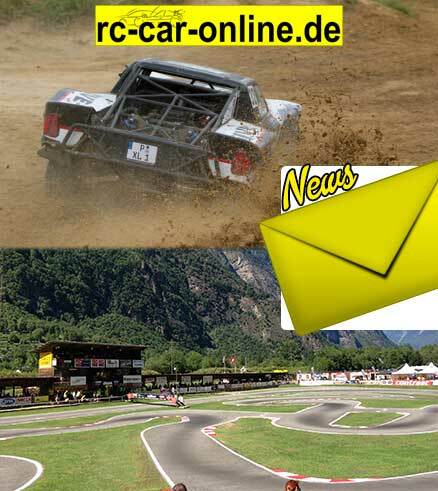 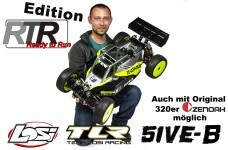 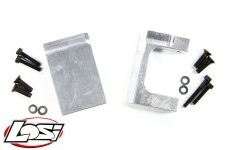 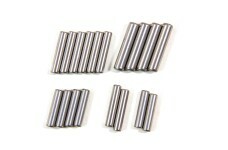 Suitable for Losi 5ive-T, 5ive-B and Mini. 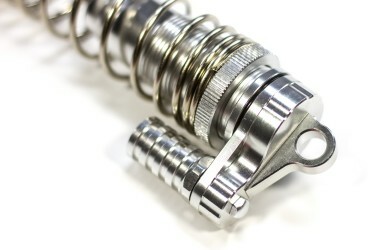 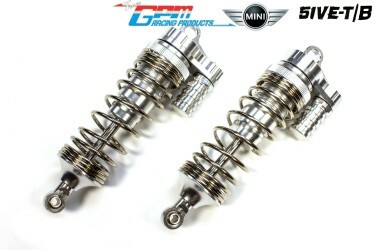 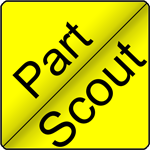 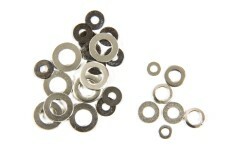 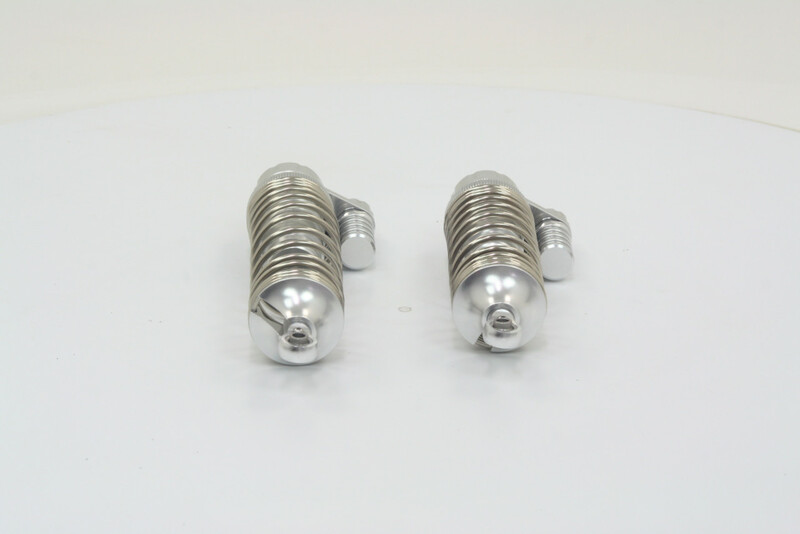 The shocks are compatible with all springs offered for these vehicles such as offroad tuning springs Dirt-Spring. 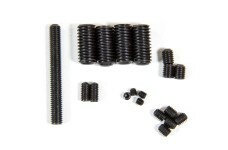 Length extended/compressed (center-to-center of mounting points): approx. 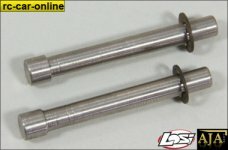 156 mm/110 mm.